Next time you are in the dog house head over to Rovers Bingo where the dapper pooch with the cool shades will bark a happy reprise. Throw him a dog bone and he will give a bingo world filled with great gaming and tempting treats right back at ya. Established in January of 2012, Rovers Bingo invites you to expand your gaming horizons. The sun is always coming up rain or shine where the closed sign shingle is never put out. The site is a breath of fresh air with bingo balls stamped with doggie treats and a mascot that will tempt you into submission. Powered by Bingo Vision the platform of products delivers quality gaming and promotional offers that are fresh and lucrative. Add your bingo roomies to your Friends List and invite them to play a game or three. Virtual gifts are available rewarding players with a list of goodies. 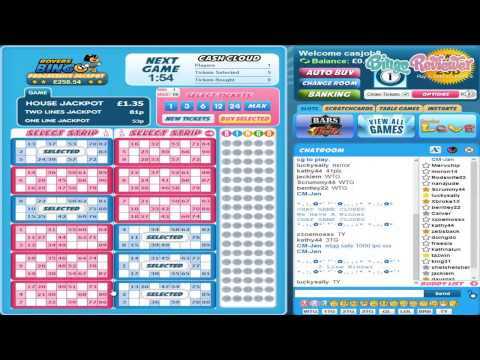 Rovers Bingo is a brand of the 15 Network and has quickly gained recognition in the online bingo community. The site is fully licensed and regulated by the Alderney Gambling Control Commission. Your favorite bingo games are here with UK’s 90 ball and US 75 ball bingo variations. Progressive Jackpots, Guaranteed Games, Chat Games and Team Bingo give players extra thrills to this already exciting platform. Every night there is a special event going on in the bingo rooms with an endless party of entertainment value. Team Bingo is for players with a competitive edge. Win great prizes for your team after you gather up three team mates with winning 5 places scoop up treasure of Loyalty Points played twice a week. The lobby includes a full gaming suite including Slots, Casino games and Instants. Once you join and are ready to make your first deposit take advantage of the Bonus to cha-ching your bankroll. What’s more are new players can spin their way to even more on the Wheel with a guaranteed minimum between £10 and a whopping £2,500. Re-load Bonuses are available on every other deposit. Play Bingo with a twist during weekly Monday Madness. Bingo on one line and win the Full House Bingo prize in the 90 ball room between 4pm and 7pm. Team Slots is a unique Tournament where you team up with three friends for a chance to win from the prize pot if you earn the most points on your wagers. Earn Rovers Rewards by collecting Loyalty Points every time you play for real money. Move up the ranks to VIP status with great benefits. Convert your Loyalty Points to Bonus Funds and claim them for Bonus Codes, Bingo Bonus Cash, Spin the Wheel, Free Tickets to Jackpot Games, Gifts and Monthly Draws. One of the nice benefits is that unlike many other sites offering promotions that come and go, here the promotions are permanent so you will never have to worry about missing out on them. With minimum deposits as low as £5 it is ideal for budget mind players. We rate Rovers Bingo with 4 Pink hearts. I really enjoyed this site. I saw that it was new and decided to try it out. Really nice welcome bonus, with 200% match-up on a tenner and then a free spin on the wheel where you can win extra cash up to £2,500. Not a bad deal at all! I was most impressed by their promotions and unique offers going on at the site. They offer team slots which I don’t actually think I have ever come across before. I am always looking for a good slot selection so when I saw this I was very excited. I haven’t tried it out yet but I definitely plan on it! It’s always more exciting to play with other people as a team. The bingo was pretty standard but I’m not too picky about that. BUT, and this is one of their downfalls at the site… they don’t offer much when it comes to free bingo. This would be at the top of my list if they would just add a bit more of that. Great site for it being so new! I wasn’t too crazy about the layout. It was a bit bland, but overall, I was pretty impressed with the site. I agree, I couldn’t find many opportunities for free bingo either and that was a bit disappointing. Team bingo is always a great addition to any site and any time I come across it, I usually stick with that site. I found the support to be very helpful here and the community as a whole to be extremely friendly and welcoming. I also really like their Monday madness promotion. I know there are other sites that have this same promotion, but this is the first place I’ve actually tried it out. It’s really great because it is so often that when you win, it’s only on 1 line and for a small, disappointing amount. But with this promotion, you get that chance to win a full house prize for a 1 line win. Interesting site that I have seen just recently, but after reading other users experience, I decided to give it a go. I did like the graphics, although it looks more like a cartoon site (with Rovers, the dog from the logo). The graphics are flashy and rich, and if it wasn't for the spinning wheel, it would be much easier on the eyes. The starting offer is not that bad, a 200% bonus if you make at least a £10 deposit, and on a top of that, there is a spin the wheel game, where you can win from £5 to £25,000. Also, there is a 50% reload bonus, which is something I personally like. There are six regular bingo rooms for 75 and 90 ball games (one of them is a free bingo room! ), and a special Ace Bingo room, for those who like to play a bit faster.